Some actors inhabit a role so perfectly that it can go on to haunt their careers – Christopher Reeve’s Superman, Harrison Ford’s Indiana Jones and Sean Connery’s Bond, to take three examples. 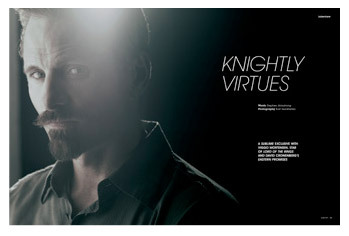 With Viggo Mortensen, it will be hard to shake his barnstorming performance as Aragorn in The Lord of the Rings. 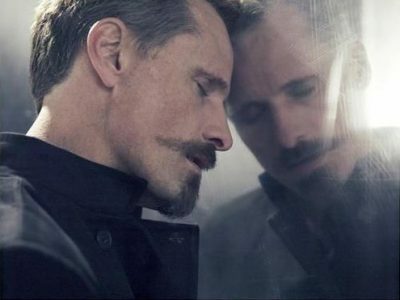 He took a shadowy, unlikely hero from the pages of fairytale and created a fully formed man. The film was hugely successful, and he became a Hollywood playa. So first, you have to get that out of the way. And a look at Mortensen’s career since Aragorn proves that’s pretty much what he’s been trying to do. In the five years since The Lord of the Rings, he’s chosen to work on five films: as Frank Hopkins in the man-and-horse epic Hidalgo; as Tom Stall in the political fable A History of Violence; as a 17th-century mercenary in Spanish-language adventure Alatriste; as a German professor resisting Nazism in Good and in David Cronenberg’s new thriller Eastern Promises, set in the underworld of the Russian mafia in London. Notice anything about those parts? Blockbusters they ain’t. ‘If I was interested in being as famous as possible and making as much money as possible, then I would have done things differently,’ he smiles. ‘But I find other things much more interesting.’ In Eastern Promises he plays Nikolai, a mobster covered from head to foot in tattoos. He researched the role so well that he knew how significant these marking are – they tell a gangster’s life story, where they’ve served time and what crimes they’ve committed. During filming, he found it troublesome to wash them off and reapply, and was once mistaken for a killer in a nasty London pub. ‘The tattoos were important to get right,’ he insists. 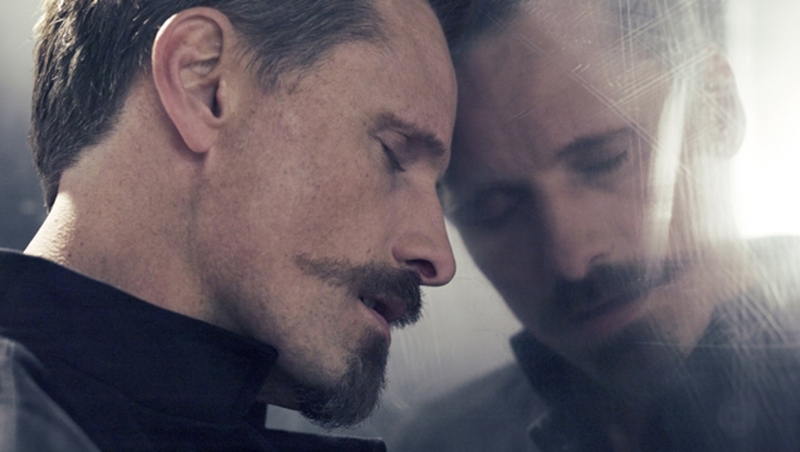 ‘The film is about how things escalate, and asks the question, What atonement can there be for blood spilt on the earth? It seems very pertinent to ask that question now. Blair, Bush, Howard – what atonement can they make? My character, as it happens, is not violent,’ he laughs. ‘Which is different from most of the roles I’ve been given in the past.’ For a man who so often goes to war in character, his resistance to Iraq is very public – so much so that, in 2004, the conservative film critic Michael Medved attacked him in USA Today for his ‘pacifist preening’. He’s been known to send journalists anti-war t-shirts, and in August 2005 he joined Cindy Sheehan on the dusty road outside George W. Bush’s family farm as she protested her son’s death in Iraq. He brought gifts – fresh vegetables, bottled water and a copy of Animal Farm. ‘I just wanted to talk to her, to see what she had to say,’ he shrugs. ‘Besides, I figured Bush wasn’t going to come out any time soon, so she could use something to read.’ In fact, his other off-screen choices have been as curious and un-Hollywood as his movie choices. He reads his poetry at a literary arts centre’s open-mic evening. In 2002 he started a small publishing company called Perceval Press with Pilar Perez, a curator at the Santa Monica gallery. It’s named after a character in the Arthurian legends who chose a hard path. They asked Dave Eggers for advice and he said, ‘Be very hands-on and uncompromising in terms of content, design and distribution.’ It’s a lesson Viggo took to heart. His cooperative spirit led him to take a most unusual step in Hollywood – he organised his fellow actors in a dispute over pay. In 2003, New Line had fallen out with the cast of The Lord of the Rings over compensation for the months of promotion the actors were expected to do. Viggo spearheaded their collective negotiations, much as you’d expect from an old-school trade-union leader, although he’s not keen to talk about it. Perhaps this behaviour is less surprising given his background. He was born in Manhattan to a Danish father and an American mother who met while skiing in Norway and who ever after liked to travel. He has spent more time in Argentina than anywhere else, where he learned to ride and fell in love with adventure stories. He decided he wanted to be a gaucho, a cowboy, but that ended when his parents divorced. He was 11, and he moved to upstate New York with his mother – to an America that was reeling from Woodstock and the moon landings. 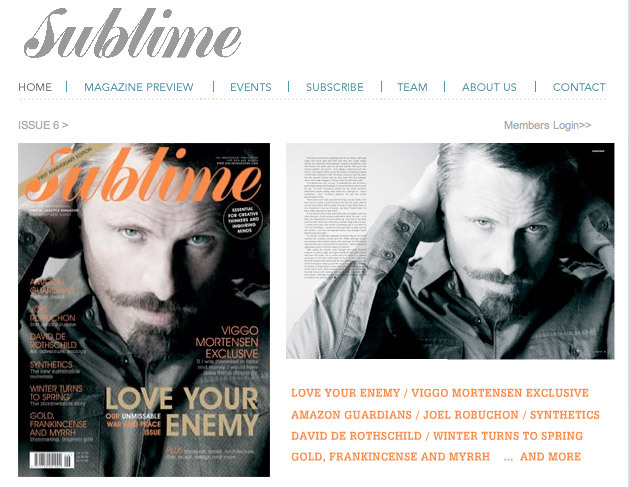 The image of Viggo Mortensen against the mirror didn’t appear in the magazine; it is from the Sublime website version of the article. Sorry, we found no photo credit for these. Please let us know if you can identify the photographer! 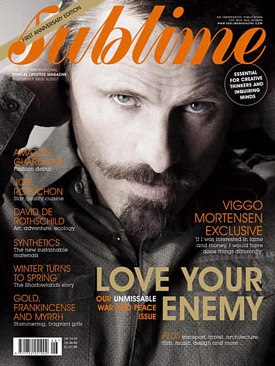 Published June 2007 in Sublime Issue 6 - Love Your Enemy. Notes: From the June 2007 issue of the magazine; published online November 1, 2007.